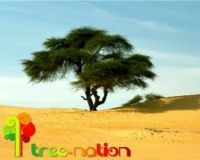 This Tree-Nation page is a meeting place for committed people: those who want to contribute to the cause of fighting Poverty, Global Warming and Desertification. To this end, Tree-Nation is creating a park of 8 million real trees, to be planted in the shape of a giant heart in Africa. Using the latest in mapping technology people all over the world can plant a tree on a virtual map and a real tree will be planted in the same place in the real world. You can buy trees for yourself or offer and send one to someone you love, and people are doing this for weddings, valentines, new born babies, birthdays or simply to share some thoughts. This group on Care2 will be updated regularly with news and opportunities to get involved in the cause. 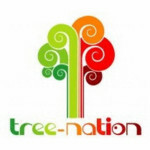 Pledge to plant a tree in Africa in 2008!!! Help Save My Forest in Mahone Bay! Let´s save the Borneo Forest! 4 years ago (33 replies) | Hot! WELCOME TO TREE-NATION MYSPACE ! 12 years ago (3 replies) | Hot! 12 years ago (30 replies) | Hot! 12 years ago (20 replies) | Hot! FREE TREES SHRUBS AND PLANTS HERE ! WE CANNOT PLANT ENOUGH TREES ! DISCUSS: ARE YOU AN ECO DEVIL ?